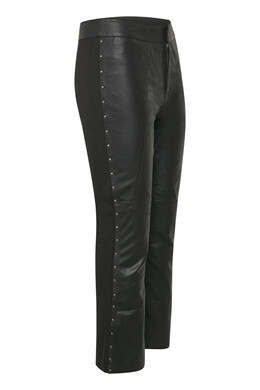 Amazing leather pants with rivets along the side and simple cutlines on the front. 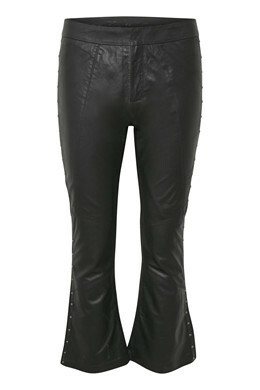 The back is jersey. 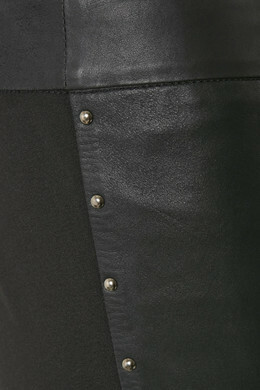 The pants have a hidden zip and button fastener. 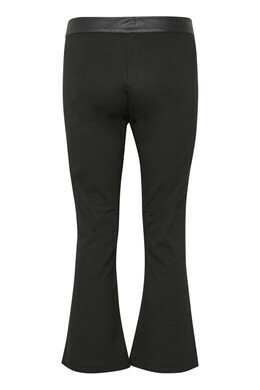 The comfortable trumpet pants have a good little flare and are obvious for parties.